In a world full of oils, serums and balms, the good, old-fashioned cream has to do something pretty spectacular to stand out. Or, it just has to show up in the form of a hangover. Or, perhaps, “The Hangover,” as Lalogy does with this peptide-infused, goldenrod-colored cream. As one who is finally coming around to creams, I’m still figuring out what I want out of one. 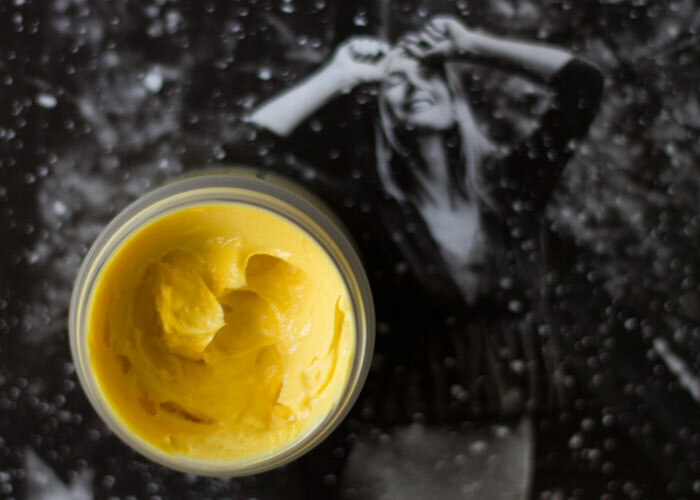 If it’s loaded with thick butters and oils, it’s a balm. If it’s runny and slick, it’s a lotion. If it’s pillowy, fast-absorbing and leaves zero shine, it’s a cream. A dream cream. That — and a little bit more — is what I’ve found in Lalogy’s The Hangover Instant Lift Nano-Peptide Cream. This gorgeous golden cream, which smells of sea buckthorn and chamomile, feels cushiony soft on the skin. It’s one of those creams that seems like it’s thick at first scoop (using about a nickel-sized dollop). But as you massage it into your face and neck, it instantly disappears into your pores and leaves absolutely no trace of sheen. It’s seriously like a second skin. I sometimes splurge and use this as a hand cream because it’s that fast-absorbing — no greasy face, neck or hands here. It’s the whole “my skin but better” thing — better meaning not cracked, itchy, flaky or dull. That’s thanks to a smart ingredients list that has a healthy mix of water, aloe leaf juice and oils combined with powerful peptides designed to help firm the skin and reduce the appearance of wrinkles and puffiness. As you can see, there’s some old favorites, like pomegranate, sea buckthorn and green tea, along with some lovely extracts like horsetail and nettle that are used by many beloved skincare mixologists. While I can’t truly speak to things like cell regeneration and collagen activity, I can speak to the lovely texture these key ingredients create in Lalogy’s The Hangover cream. Though I’ve used Lalogy’s The Hangover Instant Lift Nano-Peptide Cream both morning and evening, I prefer it for day because of how fast-drying it is, making it so easy to layer under makeup. If I’m traveling and want to limit my products, I can easily take this and an oil and be set, using the cream for day and the cream + oil for evening. This face cream would be perfect year-round for someone with oily skin — and especially in the summer! My boyfriend likes this cream, too, for its fast-drying, non-greasy finish. So, extra points for the gender-neutral scent and packaging (and perhaps the fun naming of it appeals to the dudes). For the pricepoint and peptides in this lovely cream, I’d easily recommend it to those searching for something to help their skin look and feel it best — sans shine. I’d repurchase this for myself (and to share with the man), too. Have you tried anything from Lalogy? What do you look for in a face cream? When do you choose a cream, balm or oil? Tell me in the comments section!